Discover the magic of Luxembourg with this homage to the country’s rich history, diverse culture, and beautiful landscapes. Steeped in history, the small baroque country of Luxembourg is one of the few remaining hidden treasures of Europe. With a 1,000-year-old heritage, including the old city fortifications and ruins that are recognized as a UNESCO World Heritage Site, this landlocked nation—best known as a center for banking and telecommunications—offers a surprisingly rich diversity of natural wonders. 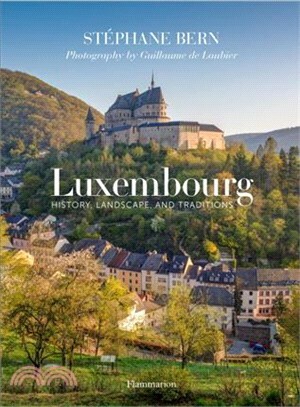 This volume leads the reader through Luxembourg’s picturesque countryside, unveiling the nation’s fascinating history, culture, and geography, and includes a detailed guide to the best cultural, gastronomic, and historical experiences, along with an agenda of annual events and festivities. Stephane Bern is a popular journalist in France. He has published numerous books, including Highland Living and The Best Loved Villages of France. Guillaume de Laubier’s photographs have appeared in many books, including Highland Living and A Home in Paris.